To Anastasia Krupnik, being ten is very confusing. For one thing, she has this awful teacher who can't understand why Anastasia doesn't capitalize or punctuate her poems. Then, there's Washburn Cummings, a very interesting sixth-grade boy who doesn't even know she is alive. Even her parents have become difficult. They insist she visit her 92-year-old grandmother who can never remember Anastasia's name. On top of that, they're going to have a baby -- at their age! It's enough to make a kid want to do something terrible. Anastasia knows that if she didn't have her secret green notebook to write in, she would never make it to her eleventh birthday. Ages 8-12. 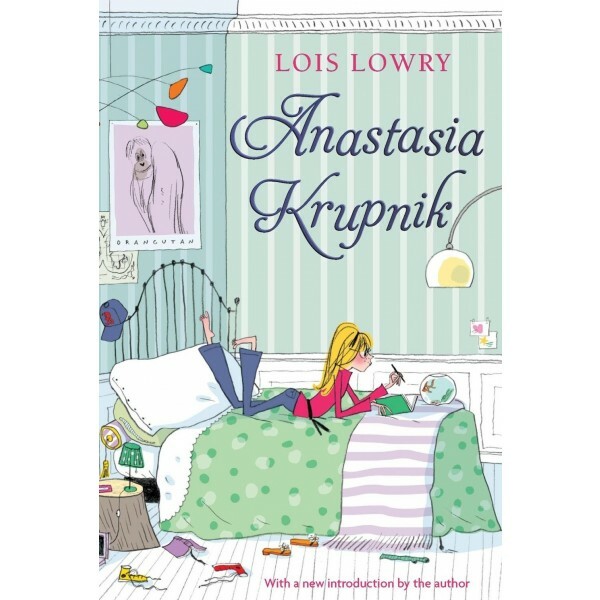 The first and best book in the very popular series describes the ups and downs of a precocious ten-year-old girl. Anastasia loves keeping lists of important information in her green notebook; when she discovers that her mother is pregnant, she instantly adds two new items to her "things I hate" list: "My parents" and "babies." But as the year passes, Anastasia finds that the items on her lists keep moving around; by the time her baby brother is born, the only thing left to hate is liver. An unusually warm, insightful and original portrait of childhood and family life, this is a special and memorable story. Horn Book called Anastasia "an amusing and engaging heroine" and The Bulletin of the Center for Children's Books wrote, "the whole book is a delight."